Arrive at srinagar airport and transferred to hotel/houseboat and relax for some time. Rest of the day is at leisure for your individual activities and you can also explore the surrounding on your own. Overnight stay at the hotel. 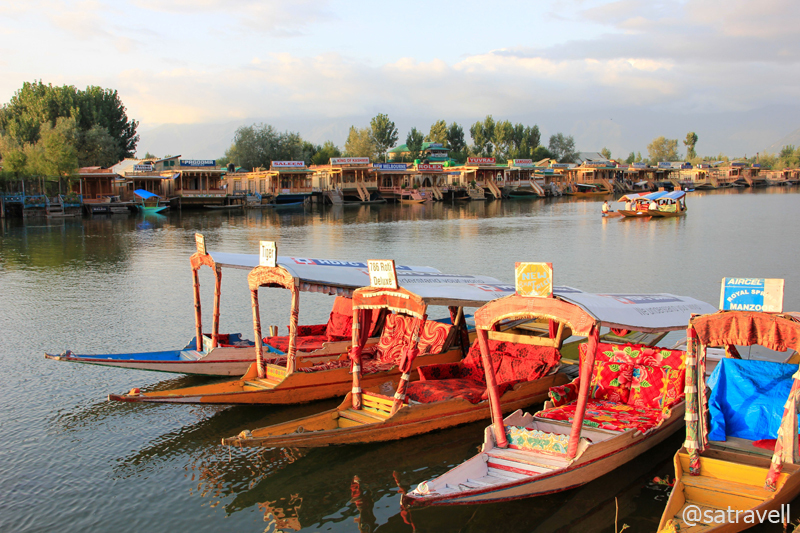 After Breakfast proceed to full day sightseeing of Srinagar which covers Mughal Gardens, Chashmi-e Shahi, Nishat Bagh, Shalimar Bagh and you can also enjoy the a Shikara ride on the Dal Lake. Later back to the hotel. Evening is at leisure for your individual activities. Overnight stay at the hotel. After Breakfast check out the hotel and proceed to Gulmarg. It is popular for its highest golf course and skiing in winters. On arrival check in the hotel and relax for some time. Rest of the day is at leisure and you can also enjoy the Gondola cable car ride to Kandori/Alpatar. Later back to the hotel. Overnight stay at the hotel. After Breakfast check out the hotel and proceed to Pahalgam. On arrival check in the hotel and relax for some time. Rest of the day is at leisure for your individual activities. Overnight stay at the hotel. After Breakfast full day is at leisure for individual activities and you can also enjoy walks or pony ride to one of the many beautiful spots around Pahalgam. Overnight stay at the hotel. After Breakfast check out the hotel and proceed to katra. On arrival check in the hotel and relax for some time. Rest of the day is at leisure to explore the surrounding on your own. Overnight stay at the hotel. Early in the morning start trek to Vaishno Devi Temple. On arrival take darshan of Vaishno Devi. After pooja or Darshan start trek back to hotel. Overnight stay at the hotel. After Breakfast check out the hotel and proceed to Jammu airport/railway station to board a train or flight for your onwards journey. If you have not decided yet or wants to customize tour itinerary or hotels listed above in "Best Of kashmir Tour package By Indian Tour Sites", then we can change the travel itinerary and make a personalized, tailor-made holiday package, especially for you. We can modify this travel package as per your itinerary, budget, duration and the tourist places you would like to visit, including transportation and airfare should be included or not. Please fill the form below to contact us.